Since Christmas, it appears that flyers bound for the U.S. from Canada are going to have to pack a little lighter. 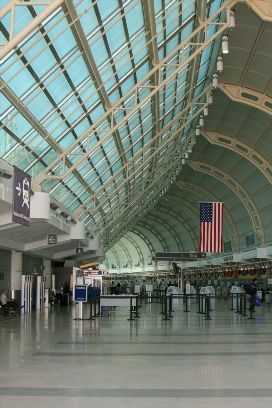 In the wake of an attempted attack on Delta Airline Flight 253, Canada has tightened security in the nation’s airports, brought to my attention by an article in The Globe and Mail. After further reading, my understanding is that the alleged attack occurred on Christmas Day in Canada’s Airspace, 20 minutes before landing in Detroit. Passengers may carry with them one or more of the following items: medication or medical devices, small purses, cameras, coats, items for care of infants, laptop computers, crutches, canes, walkers, containers carrying life sustaining items, a special needs item, musical instruments, or diplomatic or consular bags. They also warn that flyers should expect delays as a result of the increased security. I am still unsure whether this is the case for passengers on stopovers from other countries, or if it is just passengers leaving Canada for the U.S. However, I will keep my eyes peeled and ears to the ground for any updates.